At ProRez, we know just how critical a high performance finish coat can be in providing long-term protection through chemical, stain, and abrasion resistance. Our ProThane finish coat system is available in both Gloss and Satin finishes. It’s versatile and well-balanced in standard(S), fast(F) and high humidity(HH) cure options. Each of our three low odor, ultra-high solids, aliphatic (i.e. 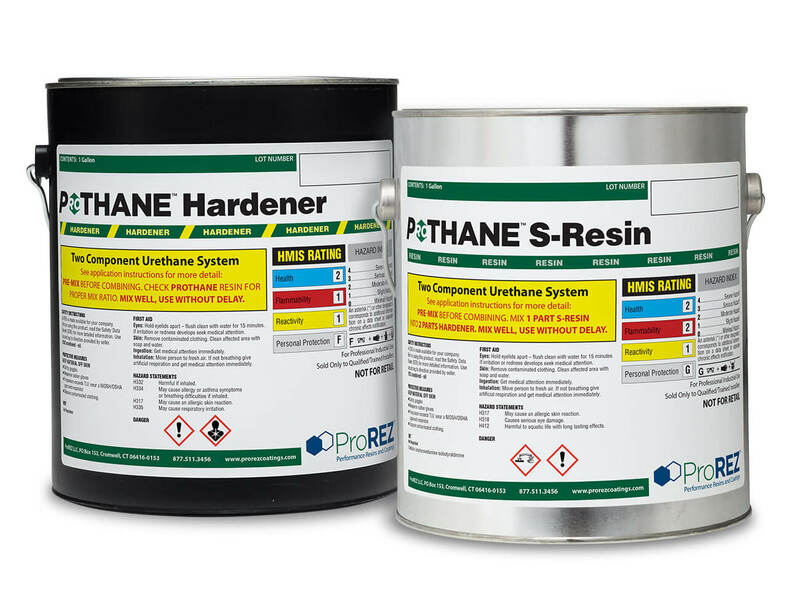 U-V stable) ProThane resins utilize the same hardener with cure times ranging from 4 hours (Fast Track) to 12+ hours, and working time upwards of 60 minutes for our ProThane HH-Resin. Combined with our proprietary ProWear or ProWear+ abrasion-resistant additives and you have one of the industries hardest wearing finishes. Microbe◊BLOK, a factory installed antimicrobial film preservative is available when hygiene & sanitation are critical considerations. Like all of the ProRez Coatings, our urethane can be field-tinted with the same ProColor Universal Colorants. ProThane is a uniquely versatile and resilient polyurethane coating. 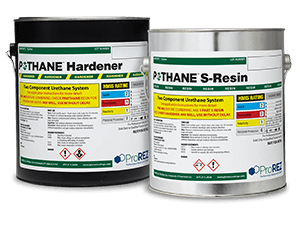 ProThane is a clear two component thermosetting, low odor, ultra-high solids aliphatic resin designed as a high performance finish over ProREZ coating . Reference technical data sheet for more information.